The Classic Libertarian Perspective: Remember Esperanto? "Freedom means that in some measure we entrust our fate to forces we do not control; and this seems intolerable to those positivist / rationalist who believe that men can master his fate; as if civilization and reason itself were the fate of his making"
Have you ever heard of Esperanto? If not, then you probably have not heard one of the most interesting stories of an international planned order, applied into social orders. In this case, it particularly applies to languages and communication and became the first attempt in human history to use reason to create a common language. Esperanto is officially the first try in establishing an international planned and reason- based language into social communication. It is also the first attempt to purposely use reason and mechanic order to design a language constructed by just a few people’s knowledge and reason, then apply and implement it in order to spur common global language coordination. Esperanto is also the first massive project of an international language established through human intention and calculation. Esperanto was formulated to be an internationally auxiliary language, or IAL; in simple terms, this means a language intended to ease the communication among people from different countries who do not share the same native language. In a way Esperanto is a project planned and developed by intended human action and reason. It is an effort to apply knowledge and intelligence to establish an effective and artificially defined second language; all with the hopes for promoting peace and understanding amongst humanity. International Auxiliary Languages have been spontaneously adopted by humans since they started to interact with others from different cultures and nationalities. Indeed trade in itself was and has been one of the preponderant factors towards the necessity for humans from diverse countries and backgrounds to easily interact for successful and fluid international trade. Greece, being the first predominant Western cultural and Mediterranean merchant influence, spread the natural necessity for a common language between its trading partners. In order to trade with Greece, people spontaneously adopted ancient Greek as an IAL. We have also seen several other spontaneous adoptions of auxiliary languages throughout history. The main characteristic of them is that they have been adopted instinctively by people’s interaction and through individual’s spontaneous coordination in trading societies. Nowadays we experience the same daily influence from the English language through the necessity of international trade and globalization. This is true despite the fact that it has not been imposed by any law or created by any man; the spontaneous adoption of the English language by free individuals has created unexpected benefits for societies and promoted trade and growth worldwide. However all IALs which humans have spontaneously adopted and used are, in one way or another, associated with some level of “supremacy” or influence, whether it be cultural, political or economic. Thus even if IALs are used internationally, there is a possibility that some countries accept the language, but with certain reluctance and fear; they could believe that some foreign forces or those with hidden agendas are imposing the new language. Contrarily, people believed in the necessity to promote an artificially created language based on reason, cultural equality and lack of political or economical oppression. This synthetically created language was then supposed to be the most efficient solution for human communication and also eliminate the “imposed supremacy” perception. Esperanto therefore was created with the intention for a language in which no single predominant cultural influence imposed human communication. Esperanto is nowadays the most extensive attempt of a constructed, rational, artificially created and binding International Auxiliary Language. Its name is derived from “Doktoro Esperanto”, with Esperanto meaning “one who hopes”; this was the pseudonym that L. Zamenhof used when he published his book “Unua Libro” in 1887. Mr. Zamenhof had the idea of fabricating an easy to learn and politically neutral language, which would not use any nationality and would promote peace and international understanding. The first world congress of Esperanto was held in France in 1905, but still today no single country has officially adopted Esperanto as a legal language. It has less than 2 million speakers worldwide and is fluently spoken by less than 100,000 people. We must then ask ourselves, why is Esperanto such a novel and good idea? It is based on human intellect and has the best of intentions, so why was it not internationally adopted? The reason is that Esperanto supporters unfortunately didn’t realize that the idea of creating a language based on human reason and pre-programmed management had two sides: on one hand it aimed to reduce nationality dominance or political and economic influences but ironically on the other hand it created yet another sort of dominance and control. The influence changed from political and economic influence towards authority of reason over natural orders. The fact of trying to select a “more optimal” common language based on human reason, Esperanto speakers and its creator tried to impose their reason and beliefs upon the spontaneous order of human interactions, those which have been instinctively and unconsciously deciding on languages for international communication without any imposition or artificial creation. Therefore we can clearly see the idea of promoting human programming and excessive use of reason and then attempting to enforce it over natural spontaneous orders, which have in the past generated very optimal languages. This entire endeavor to promote the language instead of leaving it to individuals’ spontaneous interactions and the self-originating languages evolution are always suboptimal and ineffective in the long run. They block and impede the evolution of free interaction and try to promote a controlled “rational” order, which was established by a single individual’s ideas and knowledge. When in actuality we have seen that human society achieves greatness through spontaneous individual interactions without fully recognizing it. A planned, administered and reason-based structured language is usually known as “conland”. Languages of this sort possess phonology, grammar and vocabulary that has been consciously created and designed by some authority, single individuals or groups. These people try to employ their reason by proposing a system that should be adopted by the rest, for the greater society. The base of a planned language relies on the whole idea of rationalist positivism, which helped create the counterfeit assumption that humans can shape the world at will through the full use of reason and conscious planning. This notion is particularly dangerous when applied in the field of large, complex social structures or organisms that are far beyond a single individual’s knowledge and reach. People always inappropriately neglect the fact that there are orders, especially in complex systems, which lay beyond our planning and control. Therefore we have to approach them with intellectual humbleness and lucid skepticism using the real possibilities and reach of human reason. In this case, even if Esperanto was created with the best of intentions such as to promote understanding and peace, it neglects the advantage of spontaneously created and adopted languages and ignores the benefits of letting people decide what their common language should be, this in fact is the fastest and easiest way to create human coordination and understanding. Dr. Ludwig Lazarus Zamenhof created Esperanto as an applied, mingled, arbitrary constructed language. Therefore his idea was to have a language with an undefined ethnic root, although in reality the grammar, vocabulary and semantics are based on Western European languages. It is, in a way, much defined and has a geographic bias towards Central Europe, especially since Slavic roots influence its phonetics. The main vocabulary is derived from romance languages with lesser contributions from Germanic and Slavic languages, as well as some Greek. Esperanto’s vocabulary was defined in the book “Linguo Internacia”, published by Zamenhof in 1887. It lists 900 word roots. In 1894 Zamenhof published the first Esperanto dictionary, called “Universala Vortaro”. Since that publication, many Esperanto words have been imported into Western European languages. Everyday terms are usually derived from existing Esperanto roots, for example the word “computer” is Komputilo, coming from the verb Komputi “to compute” and the suffix ilo, meaning “tool”. Despite this, Esperanto speakers often debate whether importing “foreign words” is justified or not and whether to use Esperanto based expressions by extending the meaning of existing Esperanto words. In synthesis we have seen the basic main structural characteristic of the Esperanto language, so now we have to comprehend why Esperanto is not widely spoken and has barely been adopted. Why has Esperanto, being based on cultural equality, having the goal of promoting peace and having been created in order to be an efficient and easy to learn language, not yet been adopted? The response lays again in the natural order of human interaction and the inherent evolution of self-organizing process, in this case applied to language and communication. “The market is not the only form of spontaneous order. Consider language. No one sat down to write the English language and then teach it to early Englishmen. It arose and changed naturally, spontaneously, in response to human needs”. “So far as we know, the extended order is probably the most complex structure in the universe, a structure in which biological organisms that are already highly complex have acquired the capacity to learn, to assimilate, parts of supra-personal traditions enabling them to adapt themselves from moment to moment into an ever changing structure possessing an order of a still higher level of complexity”. A naturally selected language is a system of coordination and communication based on the spontaneous growth and adoption of structures and expression that end with the creation of our current languages. These languages have not been deliberately selected, designed nor imposed by any human mind, as Carl Menger stated: “There exists a certain similarity between natural organisms and a series of structures of social life, both in respect to their function and to their origin.” In this sense, all auxiliary languages adopted by human societies throughout history have been through spontaneous patterns: Greek, Latin and nowadays English. Hence based on the benefits and the speed by which humans spontaneously select an auxiliary language, we can understand how an imposed and arbitrarily created language such as Esperanto was born a failed project. The whole idea of understanding the benefits and the significance of natural spontaneous and evolutionary systems towards the growth of our society comes from a fundamental attitude of true individualism, as Professor Hayek stated, “True individualism…. is one of humility towards the process by which mankind has achieved things which have not been designed or understood by any individual and are indeed greater than a single individual mind.” This evidently can be applied towards our case in which a single individual, Dr. Zamenhof, arbitrarily created a system of language on his own which he believed and reasoned would be the best outcome and solution for coordinating people’s communication. We have to understand that the real source of any language is the outcome of unintended historical development of human interaction and evolution. “Natural organisms are composed of elements which serve the function of the unit in a thoroughly mechanical way. They are results of purely causal processes, of the mechanical play of natural forces. The so-called social organisms, on the contrary, simply cannot be viewed and interpreted as the product of purely mechanical forces effects. They are, rather, the result of human efforts, the efforts of thinking, feeling, and acting human beings”. Therefore Menger fully understood the benefits of unintended orders, which are based on individual human efforts and not often on thought, reason, authority or a common social will. Unfortunately Dr. Zamenhof and the people that believed in Esperanto’s benefits neglected that natural social organic systems are greater and more complex that any human mind can design or understand. This error of overlooking the relevance of unintended orders that created our human institutions is a very common mistake which can be seen in numerous areas throughout human history - money and the exchange market being one of the most misunderstand. However falling into this error and human reason abuse is quite a common mistake, even for the most intelligent human beings. In fact, paradoxically the more intelligent a person is, the more likely he will fall into the positivist-rationalist trap; in the pretense of their own knowledge, they consequently abuse and test the limits of their reason. This as Hayek defined embodies a naïve and uncritical idea of rationalism which is an obsolete school of thought for our complex society. Unfortunately it is still a widely applied methodology; Hayek called it “constructivist rationalism”. Under this system we believe we can create institutions such as languages based on our own knowledge and reason, when in fact as we have seen, that solution is a suboptimal alternative when empirically tested in societies. Dr. Zamenhof had the best of intentions and was unaware of the benefits and unlimited possibilities of an extended order lying outside any human reason. He fell prey to positive constructivism’s common fallacy based on reason and knowledge and tried to apply it in a communication system. As we have seen, Esperanto has been around for more than 120 years and it has barely been adopted and scarcely fluently used. Unless individuals started to spontaneously and naturally adopt Esperanto as a language, any attempt to impose and push its use as an International Auxiliary Language is consequently ineffective and unnatural. I have used the word “natural” so far as Hayek intended it, in the sense of innate or instinctive whereas “artificial” means a product of human design. The ideas of natural evolution and spontaneous orders gradually emerged in Hume and Mandeville’s works, which stated and highlighted the benefits of random formations and selective evolution. 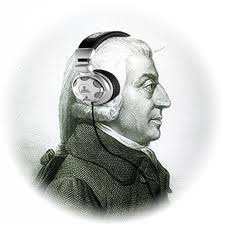 Thereafter Adam Smith made a greater methodical use of these insights and developed a more structured theory of natural evolution and spontaneous selection which slowly dislocated the Aristotelian perspective of planning through positivist human reason. Finally through Carl Menger we have a more developed theory and a profound understanding of the benefits of human interaction and the formation of institutions through spontaneous formation of orders. Money, the Rule of Law and in our case Languages are therefore the unintended consequence of individual free interaction. The resulting outcomes of spontaneously created systems such as languages are defined as systems with the minimum production cost of human efforts; they display the greatest utility and benefits when spread. Extraordinarily these self-organizing evolutionary systems are formed by individual activities and communications, moving and changing within a wide spectrum of unforeseeable directions, without anyone specifically directing them. In conclusion, individuals engage in unplanned organization under a unifying language. Using a certain language, chosen freely by them and guided by their own individual incentives, does not aim to promote societal welfare or the social body as a whole; rather it indirectly aims to allow free spontaneous interaction of them, unconsciously conducted to be bigger and better than the individual sums of its part. This leads to a freely spontaneous selected International Auxiliary Language. In today’s case the spontaneous interaction led to English, tomorrow it could be Chinese; we do not know the outcome that free society’s future interactions may bring, but we can definitely establish it will not be any form of artificial and imposed Esperanto. - Michael Polanyi, The Logic of Liberty, the Liberty Fund, Inc, 1998. - F.A. Hayek, The Fatal Conceit, Chicago Press, 1988. - Carl Menger, Problems of Economics and Sociology, University of Illinois Press, 1963. - David Boaz, Libertarianism, the Free Press, 1997. There's a curious and wrong assertion herte that Esperanto "has barely been adopted and scarcely fluently used". I've been using Esperanto now for forty years. This language has some remarkable practical benefits. Personally, I’ve made friends around the world through Esperanto that I would never have been able to communicate with otherwise. And then there’s the Pasporta Servo, which provides free lodging and local information to Esperanto-speaking travellers in over 90 countries. Over recent years I have had guided tours of Berlin, Douala and Milan in this planned language. I have discussed philosophy with a Slovene poet, humour on television with a Bulgarian TV producer. I’ve discussed what life was like in East Berlin before the wall came down, how to cook perfect spaghetti, the advantages and disadvantages of monarchy, and so on. I recommend it, not just as an ideal but as a very practical way to overcome language barriers and get to know people from a very different cultural background. My experience suggests to me that the distinction between natural and artificial language is more apparent than real. Indeed, my own experience after many decades of using Esperanto is that a planned language can be "internalised" as well as any mother tongue. I hope you'll allow me to add that Esperanto is celebrating its 125th anniversary this year. That's quite an achievement for what started as the idea of just one man. It has survived wars and strikes and economic crises, and continues to attract young learners. Esperanto is certainly not something historical. During a short period of 125 years Esperanto is now in the top 100 languages, out of 6,800 worldwide. It is the 22nd most used language in Wikipedia, ahead of Danish and Arabic. It is a language choice of Google, Skype, Firefox, Ubuntu and Facebook. Native Esperanto speakers, (people who have used the language from birth), include World Chess Champion Susan Polger, Ulrich Brandenberg the new German Ambassador to and Nobel Laureate Daniel Bovet. Financier George Soros learnt Esperanto as a child. There were many simple ideas developed by one human, which in fact were the childs of epoc (parallels discovieries and inventions). From the many artifficial languages Esperanto, by spontaneous decision of many humans, was choosen as the best. In fact, it isn't so artifficial, because it is based on the native languages. It doesn't provide anything new, just the great simplicity. It doesn't seem that any power will impose it. It is developed by volunteer community all over the world. I suppose, it might become global IAL, but if it will happen, it will be made by spontaneus decisions of simple humans, not governments, in beautiful libertatian style. The UNESCO recommended Esperanto in 1954,read the resolution if you have not read it. It will be in the Ministry of Foreign Affairs for the young diplomats in Indonesia. Time has changed, and concept of Esperanto has to be changed too. Esperanto was being researched and voted to be the best business language by French Chamber of Commerce in 1920 but was barred by the French government then. Brazil has included in the high schools as an elective subject. Hope the above would update your economy sense that Esperanto can help all countries in the world to be bilingual country within 200 hours, how much would that save the country and the time of the people. I myself am a native English-speaker who started learning Esperanto a little more than 2-1/2 years ago; at that time I was already moderately proficient in French, i.e. able to ask directions, order from a French menu, book a hotel room, etc. Today my Esperanto is much stronger than my French, and it's only a question of time before it's sufficient to write/translate articles or books in Esperanto. This was accomplished in my spare time. The more I learned about the thinking behind Esperanto, the more impressed I became. It's utterly brilliant: uniquely clear, precise, logical, regular, coherent, expressive and easy to learn in ways which no ethnic language (English included) ever was or ever will be. It's the ideal second language for everyone in the world. It's real brilliance though, is that it's a philosophic language: it's not comprised of concretes, but of invariant roots which can be freely combined to express any desired meaning precisely. Where western languages are full of syntactically-unrelated words with similar meanings and syntactically-related words with different meanings, Esperanto is not. Every single word in Esperanto is comprised of one or more roots, and automatically takes its' meaning from the combination of their meanings. An example of this is the verb plibonigi, which means to improve. It's meaning is automatically derived from the meanings of pli (more), bon/a (good) and -ig (cause to be) and it can only mean that, now and forever. Esperanto is superior to English in every way, so much so that I would give this anarchic, mongrel language up for Esperanto in a heartbeat if only I could. Esperanto is a planned international language, but not an "international planned order"; a libertarian should understand the difference. Constructed languages are designed to serve a purpose, e.g. Lojban to support logical thought, Ithkuil for maximum precision, Quenya for beauty, Toki Pona for simplicity, and Esperanto for international communication. When designing an "international language", certain criteria naturally arise (e.g. phonetic spelling and regularity of grammar), and Esperanto was designed to meet them. Esperanto is 80% Latin, and arguably a regularized Latin, so it is based on a successful, proven lingua franca, not a terribly radical conlang like the ones mentioned previously. Its initial design was just a starting point; since then it has evolved like any language. Esperanto was the project of one man, a medical doctor, not a government or other group trying to impose an "order". It's a tool, like Bitcoin, to be used or not. Like Bitcoin it is a product of reason and design. Some choose to use it, some don't, but those who find it useful would disagree with those who declare it a "planned order" or failure under arbitrary criteria. That the creator had a greater vision is hardly relevant. Esperanto usage has grown from 1 to more than 1M speakers with no military backing, unlike other lingua francas. This puts it in the top 3% of the world's 6000 languages, not bad. By nearly any metric it is successful and growing. Look up the number of people learning it at the new web site Duolingo.com. If Esperanto is a failure, then so is Estonian; if I were to tell an Estonian that his language was a failure, he would rightly consider me a fool. In the 21st century we have a conscious understanding of the "diffusion of innovations" and the technology adoption curve. There are countless innovations, large and small, radical or modest, with or without the backing of governments, industry consortia, or ordinary individuals. Some manage to "cross the chasm", some do not, for many possible reasons. One should be cautious about attributing the success or failure of any of them (e.g. the metric system, Bitcoin, or Esperanto) to a single cause chosen according to one's personal biases. I'm Pablo Paniagua and I have a B.A. in Civil Engineering and an M.S. in Financial Engineering. I'm currently based in Washington, D.C. where I work as a freelance Economic Analyst. Please feel free to comment here with questions or to contact me.